But let’s be honest – it can be really hard to feel Jolly when you have to spend an arm and a leg on filling up your gas tank each week! Fortunately the folks at Tom Thumb & Randalls want to help! You may already know that you can get money off your gas purchase when you shop in their stores for groceries using your store reward card. But until recently you had to buy your gas at their stations to use the points you had accrued. Now you can use your gas discount at participating ExxonMobile stations! Making it even easier for you to fill your Gas tank – at a discount. 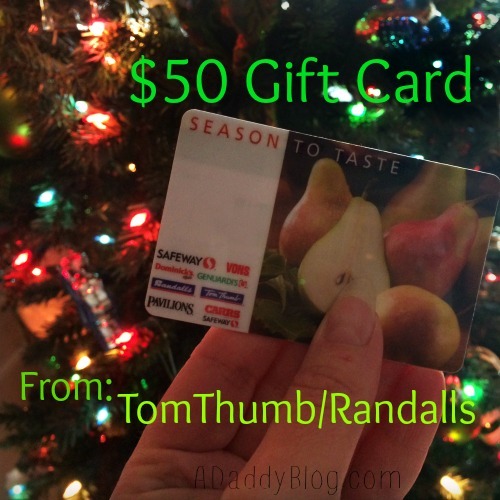 And Tom Thumb/Randalls is offering one of my readers a $50 Tom Thumb/Randalls Gift Card to help get this holiday season off on the right foot! Free Groceries or Gas anyone? Disclosure: I was provided a gift card so I could try out the program and it works like a charm! The opinions as always are my own. Even if you don’t win, be sure to sign up for their rewards program. It rocks! I get gas at least once every two weeks! For my car that is…haha! LOL. Thought that was TMI for second. Thanks for dropping by, Krystal. Hope you had a great weekend so far! Great giveaway and perfect timing! Excellent, Justin. Thanks! Everyone, you better bookmark his link so you can keep abreast of other giveaways he shares. 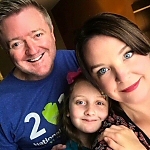 Check out his blog, too, when you have the chance. Yikes. 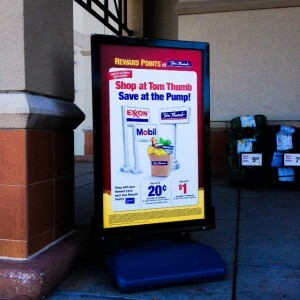 We don’t go through quite that much fuel, but I LOVE the discounted price we get via the Tom Thumb loyalty program. And now we can get it at even more locations! 🙂 Any way we can save a bit helps, right? about once a week! This works as Safeway, right? About once a week. Thanks! Thanks for entering, Denise. Good luck! That seems to be about the average. I hope that’s not in one of those cars/trucks with the big tanks. 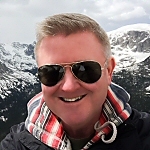 You definitely need to check out this program. Good luck winning the gift card. Not often, because I frequently take the bus. Good for you, Lin. Wish that was an option for me. I’ve thought about trying to bike to work, but fear it’d get plowed over in traffic. Yikes. I pinned this to my giveaway board. Thanks for sharing it with your Pinterest followers, Sarit. Good luck! I stop as rarely as possible! I normally can make it about two weeks between filling up and getting to the station on fumes! The stations are doing better than when we were kids about reducing the fumes that escape, but I understand what you mean. Thanks for your comment. Thanks, Dan. Good luck with the giveaway. Hi, Maureen. Thanks for dropping by! So far that’s about the average. I refill ever 10 days or so, I think, but currently have a short commute. Once a week for me but sometimes twice if we go out a lot. Great to have you stop by, Aisha. Have a super week! Hi Heather. I probably fill up every 10 days or so, but I have a short commute, thankfully. I get gas a couple of times a month at least. Thanks, Candice. I love saving money any way I can, so definitely check out their reward program. I get gas once a week. Once a week appears to be the most common, Thomas. Thanks for dropping by. Hi Amanda. Have you joined their loyalty program? I think some people don’t realize how much you can save, not only on groceries, but on gas. I love it! I do not think the words “Fill it up” have ever crossed my lips. Not that there are anything other than self serve stations anymore (unless you live in Oregon). It is just that I usually lack the funds to commit to more than 10 or 20 dollars at a go. I drive a Jeep (and LOVE it! ), but to feed the machine means it is a gas glutton. I love receiving the cents off each gallon when I enter my Safeway linked phone number. They just built a second Safeway (on our side of the island), and it is less than a half mile from the house! I am always discovering new items whenever I shop there and they have some great tasting products from their in-house brand. I got their pizza recently and everyone (room-mates) asked what brand of frozen pizza it was – they loved it.. Okay, you nearly made me spit out my coffee with your “the price to live in paradise… Hawaii” joke, Kymberly! Yeah, there are some benefits to living in Texas; gas prices being one of them. Nonetheless anyway I can save money is important to us. However they brand themselves in different locations (Tom Thumb, Safeway, Randalls, etc) we love these guys. Thanks so much for dropping by, and giving me a laugh, as well. Hope you have a super week, Kymberly. I have to get gas about every 2 weeks or so. At least 2-3 times a week. Wow, Jessica. 2-3 time a week… you must be doing a lot of driving? Definitely check out the loyalty plan and how it can save you on both groceries and clearly important to you, gas. I stop to put in gas about twice a week. Thanks for dropping by, Melina! I usually get gas about every 3 weeks unless I go out of town for something. I stop for gas about every other week. I stop about every 12 days! I stop about once a week for gas. Once a week or two depending on where we go. Twice every week, it’s usually $50 a fill up, it’s ridiculous how much gas is. I know, right? On a happier note, I’ve just sent you an email. You were randomly selected by Rafflecopter as the winner of this giveaway. Congratulations!